It is hard to imagine a script better Written, By anyone. Sure, he is a pretty-well bred colt that got close to fetching a $200,000 reserve at sale as a son of Written Tycoon, a stallion who has now fathered five Group 1 winners. But Written By went on to weave a fateful path to his $1.5million Blue Diamond Stakes victory on Saturday, to see Grahame Begg re-enter the Group 1-winning stall in his second-coming as a trainer, while Jordan Childs joined esteemed father Greg with a win in Victoria's richest feature for two-year-olds. Childs was the final piece of the puzzle with Written By, and made it three successful steers on him, all from wide draws. The first piece of the puzzle was Hall of Fame trainer Neville Begg putting his hand up last at $3000 for Yau Chin at the Inglis Scone Yearling Sales in 2007 - and she went on to foal Written By on October 6, 2015. A failed attempt at sale - they fell $20,000 short of the reserve - meant Neville decided to race the colt himself, and he was the pin-up galloper of his son Grahame's new stable at the Pinecliff facility on the Mornington Peninsula. The horse showed his horseman plenty early and was ready to kick off racing in early December with Brad Rawiller booked. Up until 15 hours out from his Sandown debut, Written By was still set to have Rawiller in the saddle, when fate struck at just after 10pm the day prior. 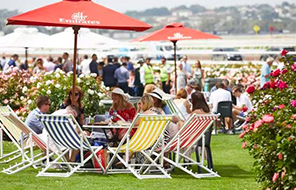 A low-level suspension from the final race on the Moonee Valley card on the first day of summer left Rawiller requiring a release from the ride the following day. 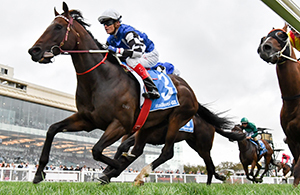 Usually, jockeys retain rides that have been accepted for in final fields before serving a suspension, but in this instance, Rawiller's eight-meeting sanction was set to - if he kept his rides that weekend - miss Black Heart Bart the following weekend in the Group 1 Kingston Town Classic. Logically, Rawiller of course made the necessary call at the time and sought a release - but as bad luck then had it, Black Heart Bart was the victim of significant interference early in the Kingston Town (champion WA hoop Willie Pike would be suspended for 28 meetings and fined $2000 as a result) and finished ninth. Childs got the call up to ride Written By at Sandown, and the rest - as they say - is history. 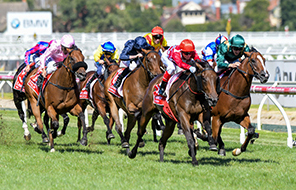 Rawiller's Diamond mount, Native Soldier, was scratched on raceday, and having got within two lengths of Written By in the Prelude, was a live chance in the race, albeit his trainer Darren Weir ruing a carpark draw with the colt. With a perfect 2/2 record on Native Soldier, Rawiller would have been brimming with confidence heading into the feature. There was another telling part to the story, and that is the work of licensed trainer and horse breaker Shane Stockdale. Begg noted Written By was a bit difficult when it came to barrier education, which as he said probably delayed his debut beyond the Melbourne spring two-year-old races. 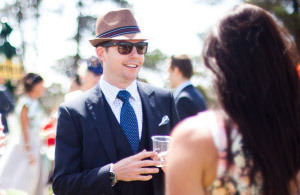 Stockdale, who is based at Pakenham, put the hard yards in with Written By to get him right at the gates, and as his start in the Blue Diamond - where he jumped the clear best of the field - showed, it was just another telling element to the story. Just three days earlier, Begg and Childs had a very fresh reminder of how crucial barrier manners are, when the horse they were combining with - Kentucky Flyer - kicked out at the gates at the very same 1200m chute from which the Blue Diamond field jumped, and was subsequently a late scratching. As it turned out, they got their bad luck out of the way before Diamond Day. But is the story over? Not By a long shot. 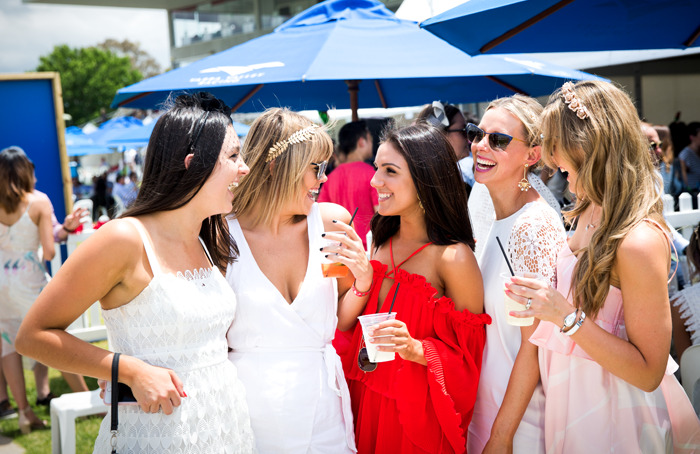 The $3.5million Longines Golden Slipper, one of the four legs of the coveted grand slam of Australian racing, now beckons, with Written By now a $6 third-favourite with CrownBet for the Rosehill feature on March 24. Begg said there'll be no hasty decision on if he continues on to a Slipper. "We'll wait and see how he gets over the run yesterday, and we'll make some decisions later in the week, if we're going to Sydney or not. If he doesn't, he'll go for a break," Begg said on RSN 927's Correct Weight on Sunday. "The way he pulled up straight after the race, he was in great order, and fairly composed. "We'll let the dust settle this week, and make some sort of decision." Decisions. Sliding doors moments. Racing is full of them. This is just another chapter, and By the By, there might be a few more Written in this tale.